The team over at Vogue Portugal continues to impress our discerning forum members, propelling the magazine right to the top of our favorites list. After an intriguing installment for December, the title secured Alessandra Ambrosio for the first issue of 2018. 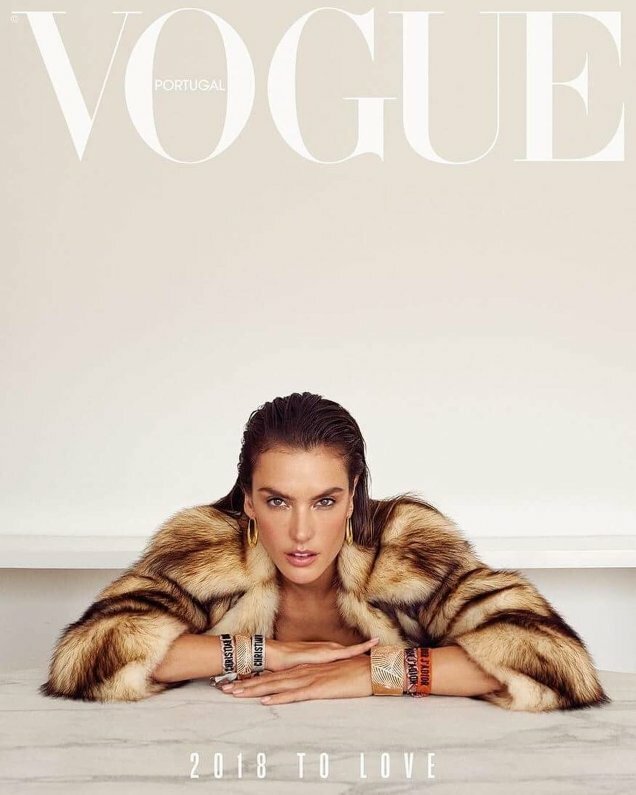 Alessandra’s last Vogue cover appearance was on Vogue Brazil back in October 2016 and she looks sensational on Vogue Portugal’s trio of covers for January. Photographed by Branislav Simoncik, the Brazilian beauty, who walked her last Victoria’s Secret show in November, masters understated glamour this month and we’re here for it. The covers practically received a standing ovation from our forums. “Wow, stunning. Very interesting,” approved guimon at once. “Obsessed! !” cried out an elated marsnoop2. “Thank GOD for Vogue Portugal and Vogue Ukraine. They both keep getting better and better. This is honestly gorgeous,” added Inlimbo. “In love with all three covers, Vogue Portugal keeps on delivering perfection,” shared an equally impressed TeeVanity. “Vogue Portugal puts Vogue Italia to shame,” voiced lightblue. “People take note: this is the new Vogue Italia,” said madzedre. Await what else the issue may have in store and join the conversation here. UK ELLE’s January Cover Starring Romee Strijd Is a Hit (If You Can Ignore All That Text)Did Amber Valletta Really Need All That Photoshop in Blumarine’s Spring 2018 Campaign?